For International orders email title, author, number of copies, full shipping address, phone number and desired date of arrival to "savantbooks@gmail.com"
Three young friends share exciting outdoor adventures. Problems arise when Purple Head, a little girl from a different planet, takes her fears to extremes. 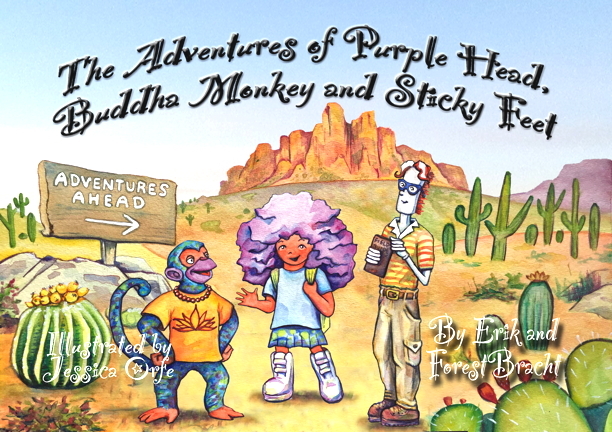 She is encouraged to take risks by her friends, Buddha Monkey and Sticky Feet who are more seasoned nature explorers. Purple Head gains confidence while having fun with her pals. A charming book for grades Pre-K through 5. The fifth in the Savant "Color-Me-Please" series.